Well hi guys! It's been a while since my last [Life] post. Yes, I know the blog has slowed down dramatically this year and I've broken my "at least one post per day" rule. There's a good reason for that; for better or for worse. I've found myself a new job which requires me to work 4 days 9-5 a week! Whilst that's good for me and I can finally be a bit more independent from my folks, I'm still a long way from being totally independent. Life has been a lot busier now with a proper job, and with life being so busy, other important matters come first. Hence, the blog has been on and off lately and I do apologize. Well, enough about my life. Here's something I discovered in the first week of my new job. Momentum! 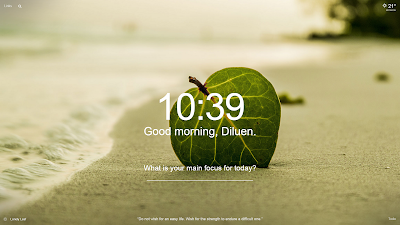 Yes, Momentum is a beautiful new tab page extension for Google Chrome. 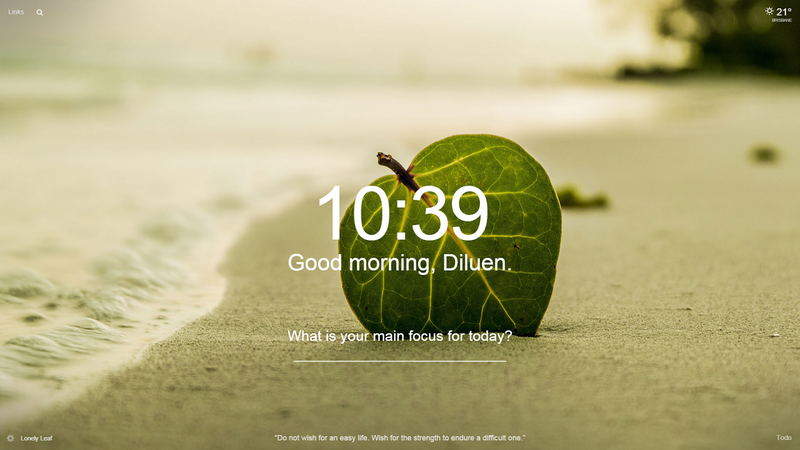 It features a daily image, weather widget in the top-right corner and a handy todo list; not to mention the huge digital clock in the center which also tells you the current quote of the day. Try it, you'll be hooked. You'll never want to turn back. You can get the extension from the Chrome Web Store.